 Make It Home Ltd brings the same Award- Winning Renovation Designs and principals to the New Home Construction market. As with a Renovation project, Make It Home will coordinate your New Home build from conception to completion. We work with you to create realistic budgets, and walk you through the design process. Our satisfaction is in creating the process that you enjoy and get excited about. This process is is all about you and your family realizing their respective wants, needs and style. Make It Home has a spacious two acre lot ready for you and your family to make your Dream Home a reality. We will build to suit or provide a standardized home package ready for move-in. Dear Make it Home Team: We wanted to Thank You for our beautiful Dream Kitchen. Doreen, you and your team were professional, courteous, friendly and always made us feel like we were part of the project.